Katy Zurnieden is an ECFE parent and member of East PAC, and since early July her husband, Joe, has been missing. 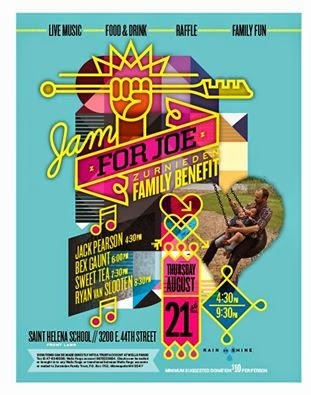 St Helena's School will host a benefit event for Katy and the family next Thursday, August 21, between 4:30 and 9:30pm, where there will be live music, games, face painting, food...and all proceeds go to help support the Zurniedens. Please come help Katy by spending some money and enjoying your Thursday evening.